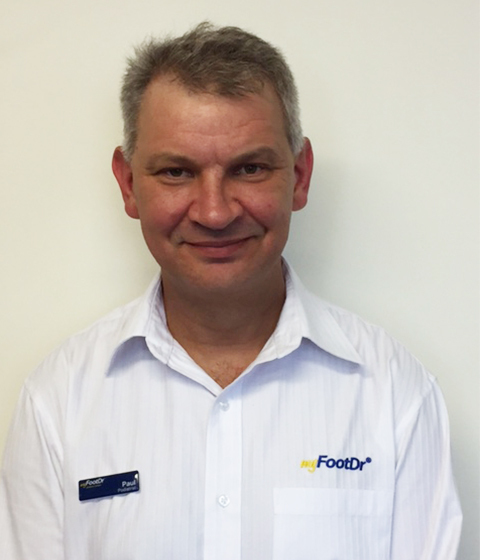 My name is Paul Ovaska and I joined the dynamic team at my FootDr Towsnville as a Podiatrist a couple of years ago. This opportunity has allowed me to further expand and explore my love affair with North Queensland. I grew up in outback Queensland in Mount Isa. With parents of Finnish heritage and the ethnic diversity of the town, I was exposed to a wide variety of cultures and lifestyles. This upbringing has lead me to become a “people’s” person, relishing in the different lives and stories of the population. I graduated with a Bachelor Applied Science in Podiatry from QUT Brisbane and the lure of North Queensland found me working as a Podiatrist in Cairns for the past 12 years. Over that time I fostered a wonderful relationship with new patients as well as my regular clientele. Podiatry has allowed me to interact with people with the thrill of knowing that you are assisting in getting their lives back and to continue a healthy life, be that at work or play. I strongly believe in the mantra that when your feet hurt, you hurt all over, they are our foundation stones after all. I look forward to meeting you at my FootDr Towsnville Podiatry Centre and continuing to help the people of North Queensland care for their feet.